When you drive a car you must have insurance whether it is an electric, hybrid or conventional vehicle. 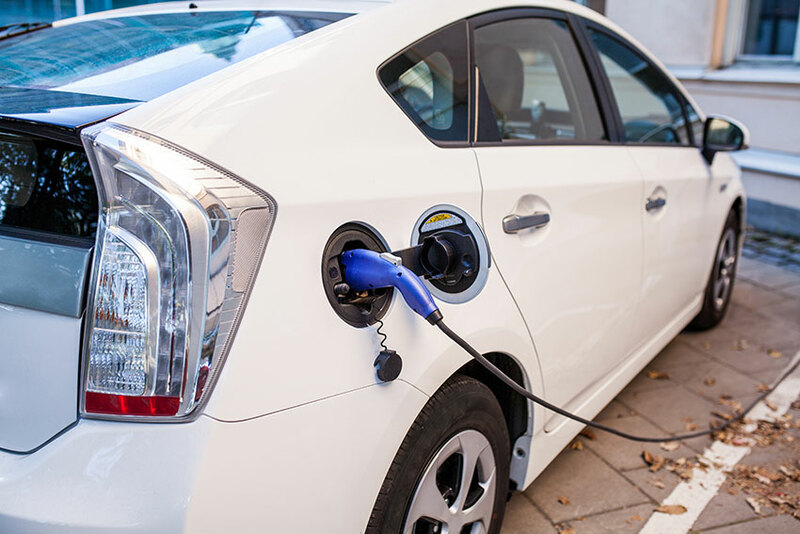 If you drive a hybrid then it could be relatively new and hence a have a higher value. They also retain good resale value after a few years too and you may want to ensure that you have adequate insurance. It is a good idea to get collision and comprehensive coverage for your hybrid vehicle due to the high cost of replacement. 2 When Did Hybrid Cars Come Out? 3 When Did Hybrid Cars Start Becoming Popular? 4 Are Hybrids Worth It? While shopping for insurance if you drive a hybrid car, certain insurance companies may charge more while very few may give a discount. It depends on your insurer as they have different underwriting rules. In general, hybrid car insurance could be more expensive as they are mostly costly to repair or replace. The main component of a hybrid car is its battery which is also the most expensive part easily prone to damage in a collision. The cost of repairing or replacing the battery in a hybrid car is too costly and insurers consider this factor while calculating your rates. In certain big cities when there are many hybrid cars on the road then insurers in those cities may give a discount on hybrid cars. You may check with your insurance company as to how they price rates for a hybrid car. When Did Hybrid Cars Come Out? Back in 1900, Ferdinand Porsche desired an option to the smelly, noisy and shaky gas engine cars and designed a rough prototype of a hybrid car. This car featured in the Paris Exposition in 1900 and could travel up to 38 miles just on electricity. However, this car did not see a lot of positive response and hybrid cars were totally forgotten for almost the next sixty years. Until Toyota planned to build a hybrid car in 1994. They launched the Toyota Prius in 1997; the first hybrid car mass production. When Did Hybrid Cars Start Becoming Popular? Toyota Prius was the first hybrid car to be designed and produced on a mass scale and they managed to sell 18000 in the first year; 1997. Then in 1999 Honda launched the Honda Insight hybrid in Japan and U.S. By 2000, Toyota Prius was available all over the world including North America and Europe thus gaining popularity for hybrids slowly. Japan has the leadership in massive hybrid car production and sales followed by U.S. and Europe. Hybrids have come a long way in terms of mileage but still, do come with a higher price tag due to the complex powertrain. If you compare a conventional vehicle to a hybrid, the former may see more years of driving with less maintenance. The difference in pricing for hybrid cars could be as much as 20% or more and fuel economy may not be enough to offset this cost. 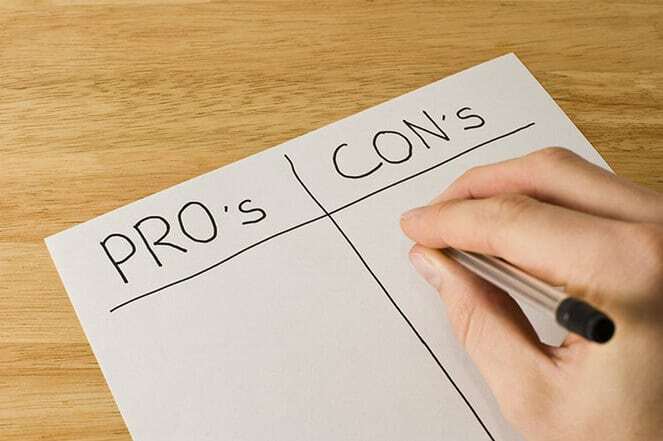 Hybrid cars are available in all types from minivans to sedans and they have their own set of pros and cons as below. Environment-friendly: Hybrid cars work on a mix of electricity and gasoline and hence have lesser emissions than conventional cars. Discount: Certain insurance companies may offer you a discount if you drive a hybrid car. Energy efficient braking: The hybrid car technology captures kinetic energy during braking and transfers back to the battery. It is regenerative and this not only extends the battery life but also gives you better fuel economy. Lightweight cars: Most hybrids weigh less than their counterparts as they are built with lightweight materials and the engines are smaller in size. These engines are light as well as highly efficient. Better resale price: Hybrid versions may get you a better resale value whether you sell or trade after a few years than a conventional vehicle. Performance: A hybrid car is built to save fuel and not to perform as a speed monsters and do lack when you compare them to others. These cars do not have performance tuning and fittings and do not have a high speeding or output capacity. You may also find the handling of hybrid cars not on par with other models due to the uneven weight distribution of battery pack location. Expensive: Hybrid cars are more costly than the conventional vehicle. The total vehicle cost would be more when you consider higher maintenance and cost of replacement or repair. All mechanics may not know how to repair hybrid and those who know may charge higher rates for maintenance. The Ford Fusion has a 2 liter Atkinson cycle 4 cylinder engine with 141 hp and an electric motor with 118 hp. A battery that has a 1.4 kWh ion charges the electric motor and also during braking. The drive is comfortable with large 18-inch large wheels too with nicely weighted steering. 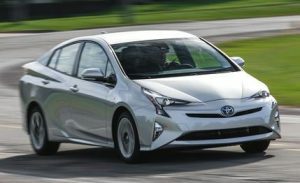 The Toyota Prius is one to take on the lead in hybrid cars early and is most commonly seen on roads. It has a 1.8 liter 4 cylinder engine with 121 hp that runs on gas with 2 electric motors. One of the motors is also a generator and charges the lithium-ion battery pack. The driving comfort and handling are better with spacious cargo and passenger space. The Chevrolet Volt has 2 electric motors for 149 hp and the engine runs on gasoline. Though it looks like a sedan it is actually a hatchback that has a folding rear seat. It has a powertrain that has efficient and better speeding. 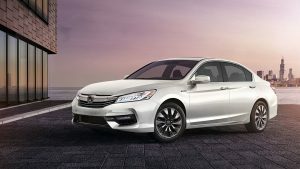 With a lightweight and smaller size motor, the Honda Accord hybrid has a powertrain with 143 hp and 232 pound-feet of torque. It has a 2 liter inline Atkinson cycle engine with 181 hp. Due to the smaller battery, the trunk has more cargo space. This hybrid car gives a seamless driving experience when it easily switches from motor to gasoline engine and also has better fuel economy. 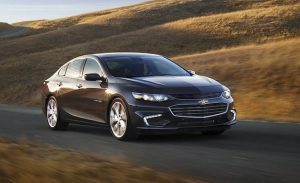 The Chevrolet Malibu does have good safety features that are usually not in other midsize hybrid cars. It has a 1.8 liter 4 cylinder engine with 122 hp and a smaller battery pack with 1.5 kWh and is a midsize sedan. Can You Be Denied Car Insurance in Ontario?